Break out the eye black, football season is upon us. And despite not washing your jersey for three years, you have no influence over how well the team you root for on Sundays actually performs. Enter fantasy football. Your fantasy team is your chance to influence outcomes with your Madden-like coaching skills, and maybe even earn bragging rights that will last long after the season is over. 1. Lay the ground rules early. Don’t wait until halfway through the season to communicate your expectations. There’s nothing worse than finding out your league is PPR after you’ve already completed the draft - and that’s exactly how your team feels when ground rules aren’t set from the start. Onboard your team from day one, training your players about your company’s strategic goals and how their roles fit into the overall team’s success. To avoid issues of Deflategate proportion, be sure they know exactly what the rules, regulations and expectations are. Whether your roster is made up of millennials or not, they need a few basic directions before setting them loose in the field. 2. Make sure your quarterback is at the top of his or her game. 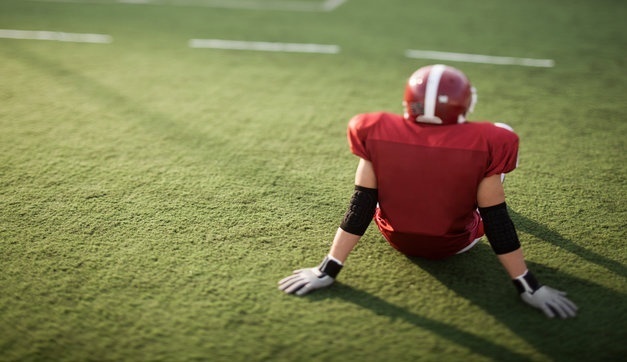 Your team leader, or quarterback is a crucial role. Unlike your fantasy team, you can’t wait a few rounds before choosing a QB you think will go the distance. Be sure you pick one with the depth and experience to carry your team through the season and beyond, but don’t skimp on training and development. Ongoing leadership development can be what separates those who score the league trophy from those who spend the playoffs on the sideline. 3. Make adjustments weekly based on team stats. Are your reps on track to make their quotas? Just like you’d work the waiver wire to shore up your fantasy roster, your sales team benefits from regular support from their manager. Don’t wait until the end of the month and ask them to push hard. Break monthly goals into weekly ones and provide regular check-ins with employees. As far as training goes, creating quizzes to make sure they are ready for primetime is a snap with a learning management system (LMS) that allows for easy creation of micro-assessments. Whether they need additional training for tricky plays (complex product details) or need to be benched for some additional coaching on active listening, it’s your job to deliver the resources they need to succeed. Create role-playing scenarios where these top objections are both made and refuted on a sales call. Quiz your team on these scenarios in a variety of formats to ensure your team knows these defensive plays up, down and sideways. 5. Turn slackers into sleepers. There are few things more satisfying than picking up a sleeper in the later rounds of your draft that vaults your team to the top of the league. Not every member of your sales team will close deals right after they’re hired. Empower those who need a little more time on the practice field with an online resource library full of short training videos that can be accessed anywhere. This way, they can access them at their own pace and convenience, then make the big plays no one saw coming the following game. From proper onboarding and coaching to constantly checking stats to adjust your roster, there’s no reason your team can’t go the distance with these tips. And if you really want to ensure your team is actively engaged all season, maybe you should encourage an actual fantasy football league at the office, too. Have any winning football strategies to apply to your sales team training? Please feel free to comment below.